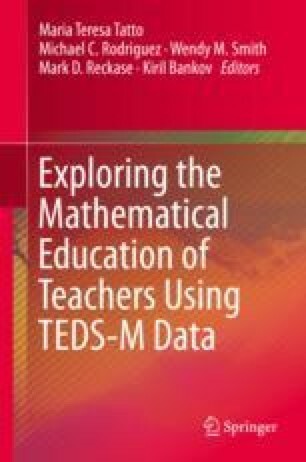 This chapter provides an introduction to Part II of the book, which focuses on the future teachers that participated in the Teacher Education and Development Study in Mathematics (TEDS-M), a cross-national study of teacher education programs that prepare future primary and secondary mathematics teachers. The study collected data from 13,871 future primary teachers and 8,207 future secondary teachers through a novice teacher questionnaire (NTQ), and from assessments of mathematics knowledge (MCK) and mathematics pedagogical content knowledge (MPCK). The chapter includes a brief overview of the characteristics of the future teachers, the methods of data collection, and the challenges encountered when administering the questionnaire and the assessments. The data on background characteristics includes age, gender, previous career, highest level of education reached before teacher education, and highest level of mathematics reached before teacher education. The assessments measured future teachers’ abilities to demonstrate key learning outcomes of teacher education programs, including their knowledge (mathematical content knowledge and mathematical pedagogical content knowledge) and beliefs (about the nature of mathematics, the nature of teaching mathematics, the nature of learning mathematics, self-efficacy, and preparedness to teach). Standing between the characteristics of future teachers and their learning outcomes are the characteristics of teacher education programs, which include the opportunities to learn that they afford future teachers. The chapters explore how key opportunities to learn offered by teacher education programs influence future teachers’ knowledge and beliefs. The first six chapters focus on future primary teachers, whereas the last two chapters include the study of future secondary teachers. The text in this Part II Introduction contains shortened and slightly edited versions of text that has appeared in the following publications: Tatto, M. T., Schwille, J., Senk, S. L., Ingvarson, L., Rowley, G., Peck, R., Bankov, K., Rodriguez, M., & Reckase, M. (2012). Policy, practice, and readiness to teach primary and secondary mathematics in 17 countries. Findings from the IEA Teacher Education and Development Study in Mathematics (TEDS-M). Amsterdam: the Netherlands. International Association for the Evaluation of Student Achievement (IEA). Brese, F., & Tatto, M.T. (Eds.) (2012). User guide for the TEDS-M international database. Amsterdam, the Netherlands: International Association for the Evaluation of Educational Achievement (IEA). Tatto, M.T. (2013). The Teacher Education and Development Study in Mathematics (TEDS-M). Policy, practice, and readiness to teach primary and secondary mathematics in 17 countries: Technical report. Amsterdam, the Netherlands: International Association for the Evaluation of Student Achievement (IEA). Text cited directly or indirectly from those sources will not be made recognizable. An extensive report on the descriptive findings on the characteristics of future teachers in the study can be found in Tatto et al. (2012) and Tatto (2013). We summarize the key findings here and reproduce some figures and tables to orient the reader; the chapters in Part II however are original contributions written exclusively for this book.